SilcoTek® surface treatments inhibit catalytic coking, carbon fouling and improve corrosion resistance. : Dramatically reduces carbon buildup. An important contributor to high engine maintenance cost is a buildup of carbon-based deposits on combustion related components known as carbon fouling, or coking. Coking has been responsible for engine failures, shortened maintenance cycles, and unplanned repairs. For example, diesel engine manufacturers have determined that coking on pistons is a contributor to shortened engine life and costly rebuilds. 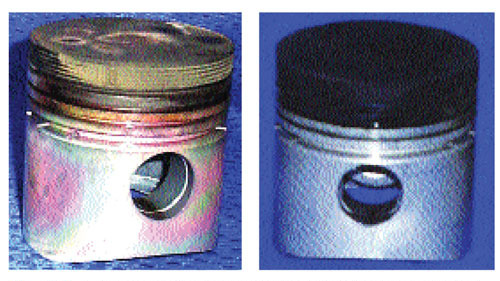 The SilcoKlean treated piston (left) shows minimal carbon buildup, extending engine life. 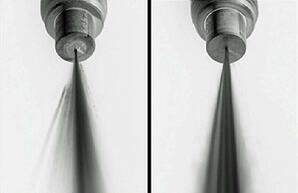 The uncoated piston (right) shows significant carbon fouling. Studies have shown that coking occurs when fuels or oils are exposed to temperatures over 200°C, and increases significantly at temperatures over 400°C. Frequently, exposure to high temperature occurs after the engine or process is shut down, when there is no coolant flow to carry away excess heat. Reduce coke formation 8-fold with SilcoKlean® 1000 surface treatment SilcoKlean 1000 reduces the formation of coke by preventing exposed metal surfaces from catalyzing fuel into carbon filaments. 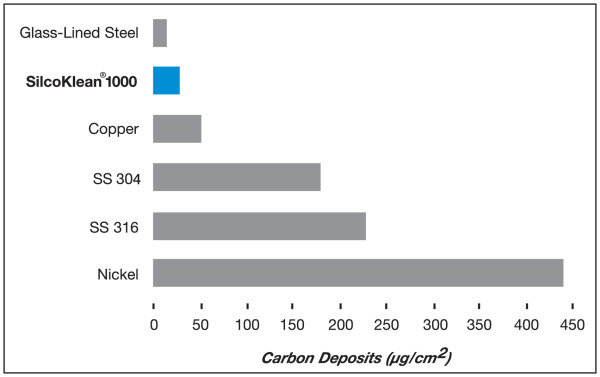 Figure 2 below) compares carbon buildup on various surfaces. SilcoKlean 1000 reduces carbon fouling or coking by 8-fold when compared to an uncoated 316 stainless steel surface. Dursan® is the coating choice for improved corrosion resistance and durability. 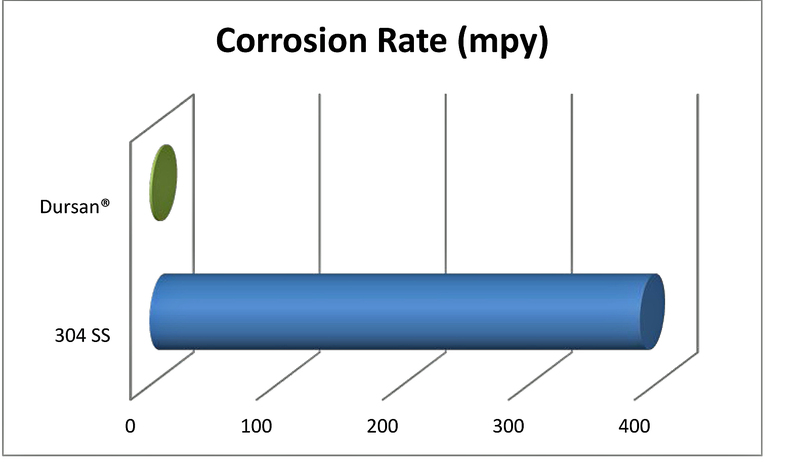 Improve corrosion resistance by 10X or more! Dursan® extends the life of stainless steel in harsh, corrosive environments. Laboratory testing proves Dursan is the ultimate high durability, corrosion resistant surface. Comparative ASTM G31 hydrochloric acid immersion testing of Dursan coated and uncoated stainless steel coupons demonstrate Dursan's exceptional corrosion resistance.